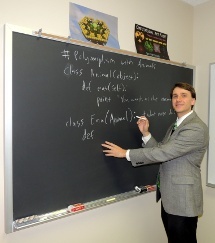 I think teaching is fun. It can be challenging, of course. But I enjoy the challenge. I think learning is fun. I am always learning new things. I enjoy that too. Good teaching reminds people how much fun learning is. A successful class is one where I'm having a good time, the students are having a good time, and everyone is learning. 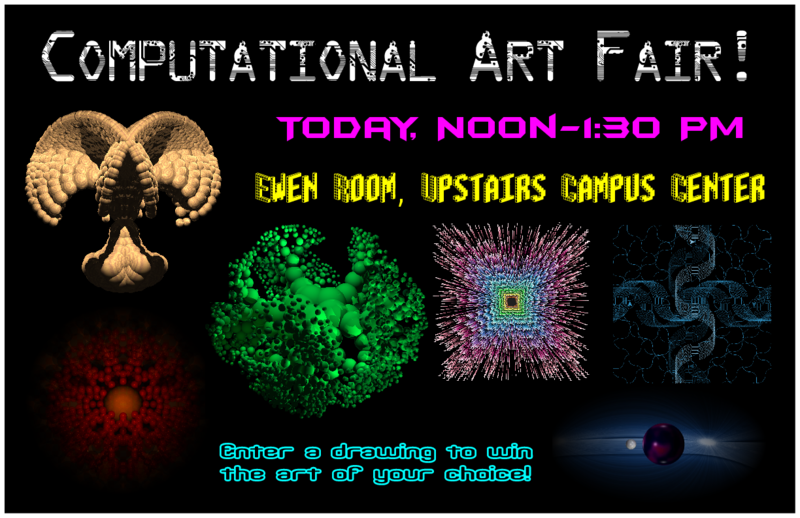 Example: magic pointillism programming assignment with the wizardly theme that flavors the whole course. Check out the Centre news story, and course blog! Example problem set with a poem at the top. Finite automata robo-tank assignment, and example outcome video -- very popular among students! Book cover for the A.I. class short stories project. Custom Q&A site that I set up for students to learn from their peers. Example midterm exam, with playful problem titles. Example project tying discrete math concepts to computer science and a sense of humor. Magic pointillism assignment for CSC 117. The course on multi-agent modeling (EECS 372/472) deserves further comment. This course was previously taught as a project-based seminar for relatively few students. However, I worked with my advisor on a grant-funded project to develop it into a new core course for the engineering school. (I was also involved in editing the new course textbook and developing supporting software/materials.) For a taste of the course, feel free to peruse the 2009 EECS 372/472 website. I have also mentored/advised a number of undergrads on independent research projects, some of which are discussed on my projects page. 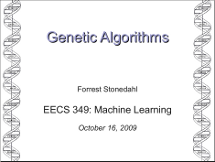 Lecture slides about genetic algorithms, from the machine learning course. 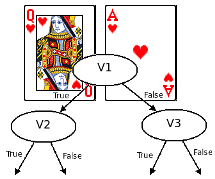 For my RedQueen homework project students evolved decision trees to play a card game similar to BlackJack. 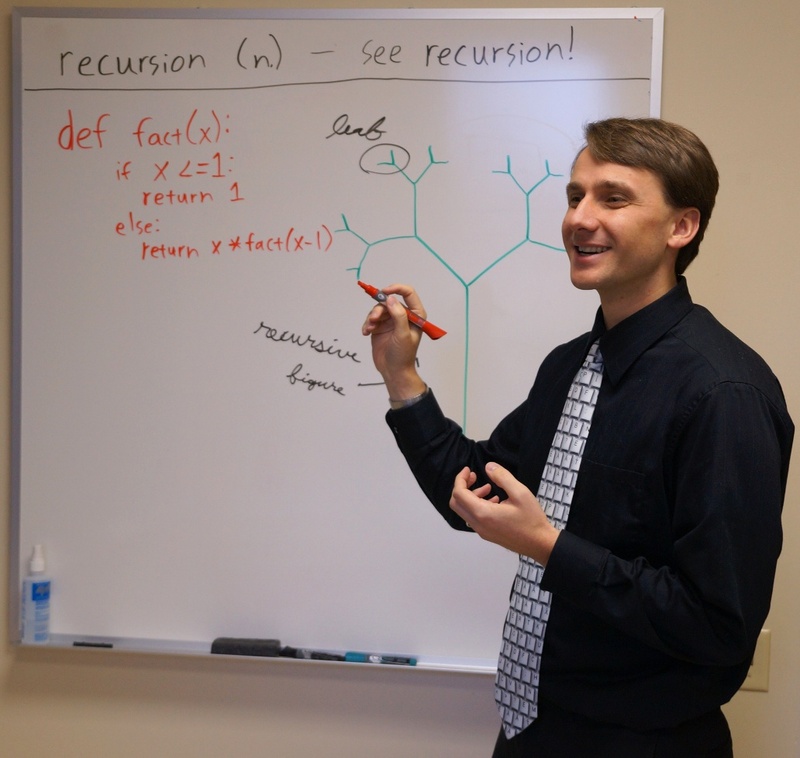 I am always interested in exploring new ways of introducing students to computer science, in order to increase motivation and promote student retention and diversity in the major. Also, I noticed that current introductory curricula often focus on centralized/deterministic algorithms and programming, neglecting distributed, parallel, and stochastic problem solving approaches. The MAgICS (Multi-Agent Introduction to Computer Science) project is about creating an introductory (early undergrad or high school) level curriculum that uses multi-agent systems as a theme for learning computer programming while also learning about upper-level CS topics and developing skills in decentralized thinking. Stonedahl, F., Wilkerson-Jerde, M. & Wilensky, U. (2011). MAgICS: Toward a Multi-Agent Introduction to Computer Science. In M. Beer, M. Fasli, & D. Richards (Eds. ), Multi-Agent Systems for Education and Interactive Entertainment: Design, Use and Experience. IGI Global. Stonedahl, F., Wilkerson-Jerde, M., & Wilensky, U. (2009) “Re-conceiving Introductory Computer Science Curricula through Agent-Based Modeling.” Proceedings of the EduMAS Workshop at AAMAS '09, May 12. Budapest, Hungary. pp. 63-70. Multi-agent simulation can intuitively explain how Google's PageRank™ algorithm works. 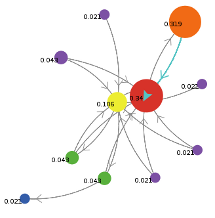 View my PageRank model online. 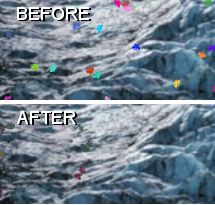 I also played a minor role in the development of the BugHunt online participatory simulation, which demonstrates how natural selection can lead to the adaptation of species to their environment. 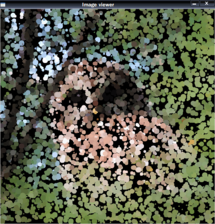 In this activity, people from anywhere in the world can log in and compete to catch the most bugs, and the emergent result is that the population of bugs becomes more camouflaged against the image backdrop.